This venue was added to our database on February 3, 2008, and the venue's information was last updated 10 years ago. kammo is responsible for keeping this venue's information up to date. This page has been viewed 7180 time(s). Two bars, stage, lighting, big screen tvs EVERYWHERE! 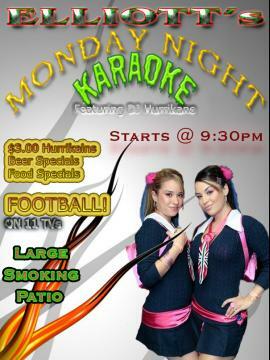 Great food and awesome drink specials..
Karaoke with Kammo's Karaoke and "The Hurrikane" Every Monday & Wednesday night starting at 9:30pm going till close..
DON'T MISS THIS.... Party like never before and do it every week!!! © copyright 1993-2007 by fearstudios.com ( 186314322+107ms ). All Rights Reserved. Report a bug or make a suggestion.